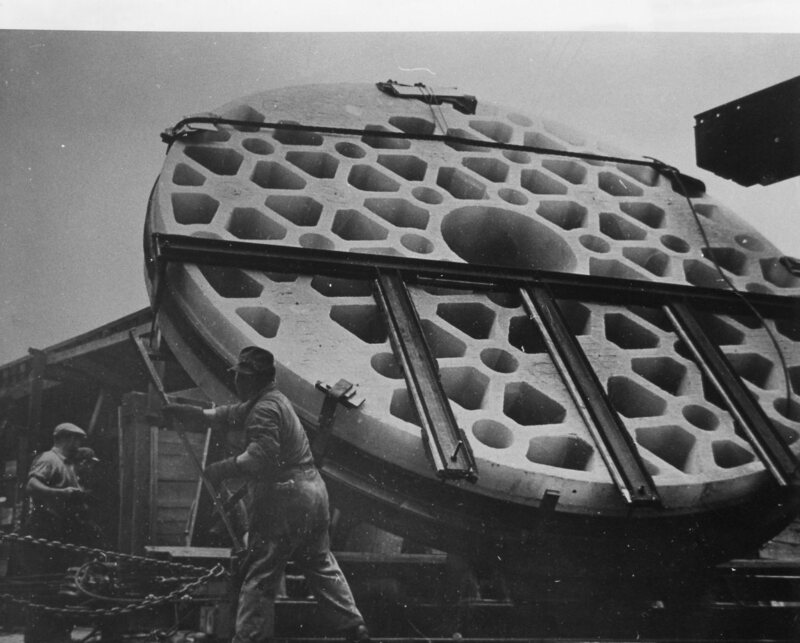 This photo is obviously of one of the two large discs that Corning Glass made for the Palomar Mountain Observatory in 1948. However, whether it is the first imperfect disc that is on display at the Corning Museum of Glass or the second disc that wound up at the Palomar Observatory — is not clear from the photo. If you know, please let us know! 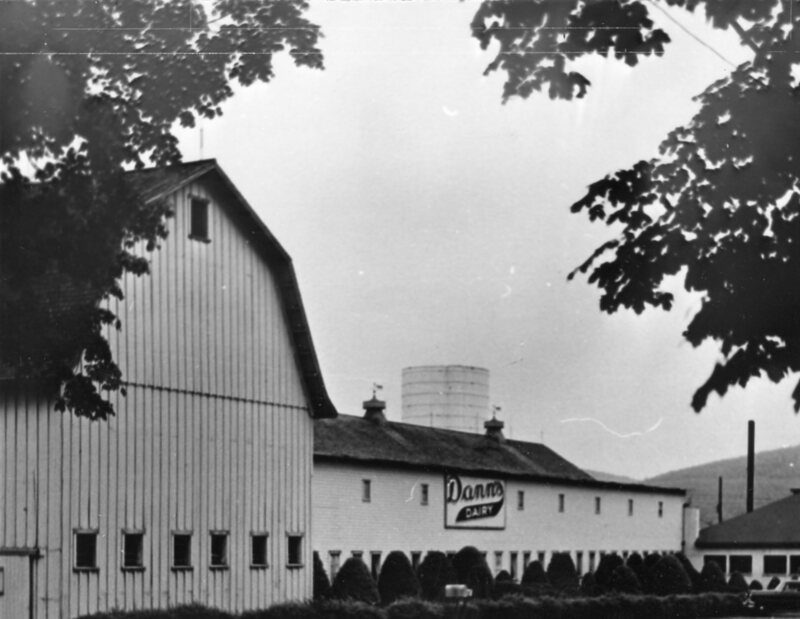 I’ll admit that while the name “Dann Diary” seems familiar to me, I can’t quire recall where this dairy farm was located. But I bet someone out there in Internet Land will remember! 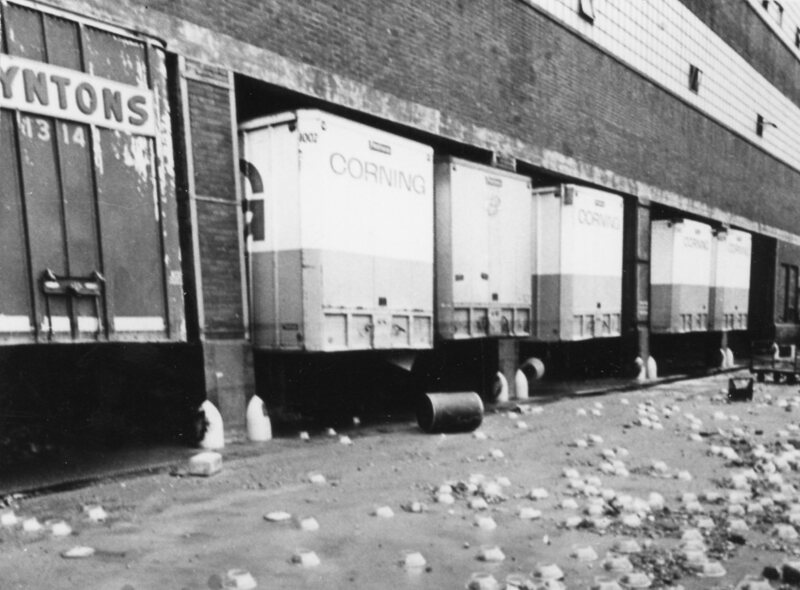 Our third photo of the week shows some of the Corning Glass trucks parked in their garage spots. And as with the Dann Dairy photo I seem to recall seeing those trucks at some time in the past! I’m quite certain the building the trucks were housed in was on the Southside of Corning but where I’m not certain. 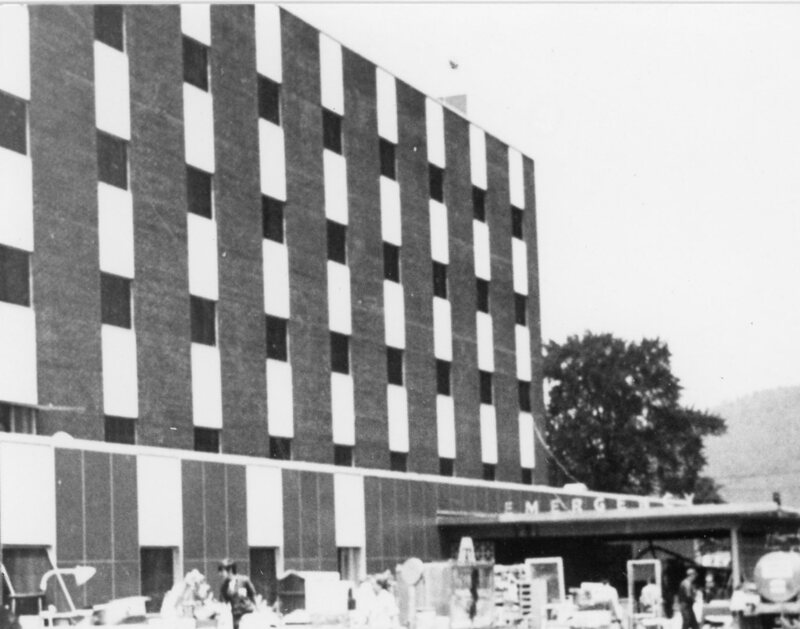 However, I’m willing to bet that many local residents do remember where this building was located! I have no idea who the young men in the photo are, where the photo was taken or even the name of the model of aircraft. However, that is indeed one cool early model airplane! 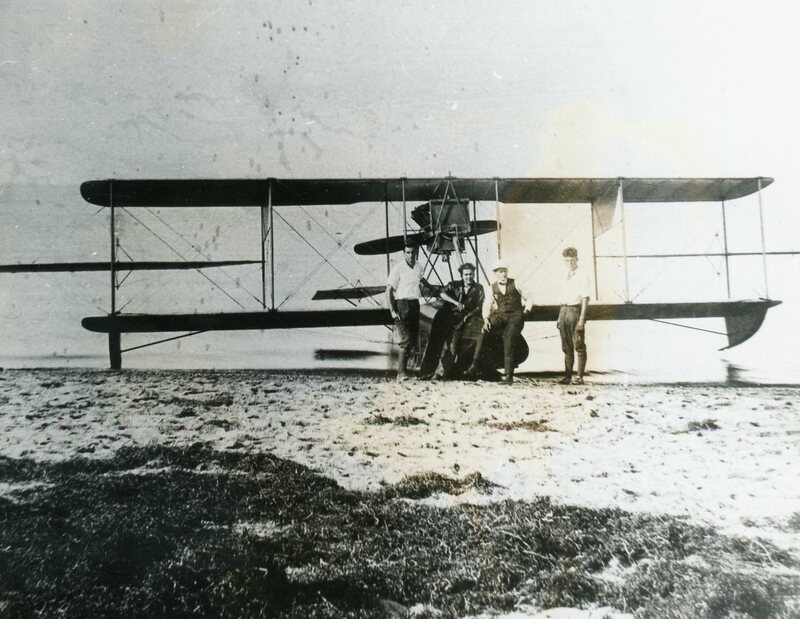 If you recognize anyone in the photo or have some info on the model of airplane let us know! Our second photo of the week is of the old Corning Hospital. 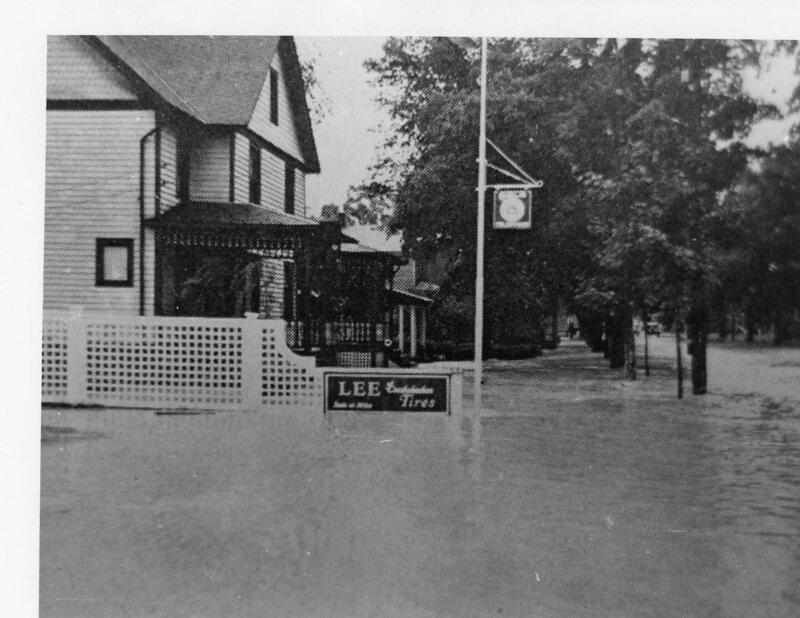 I’m assuming from the collection of items in the foreground of the photo that it was taken after the flood of ’72. 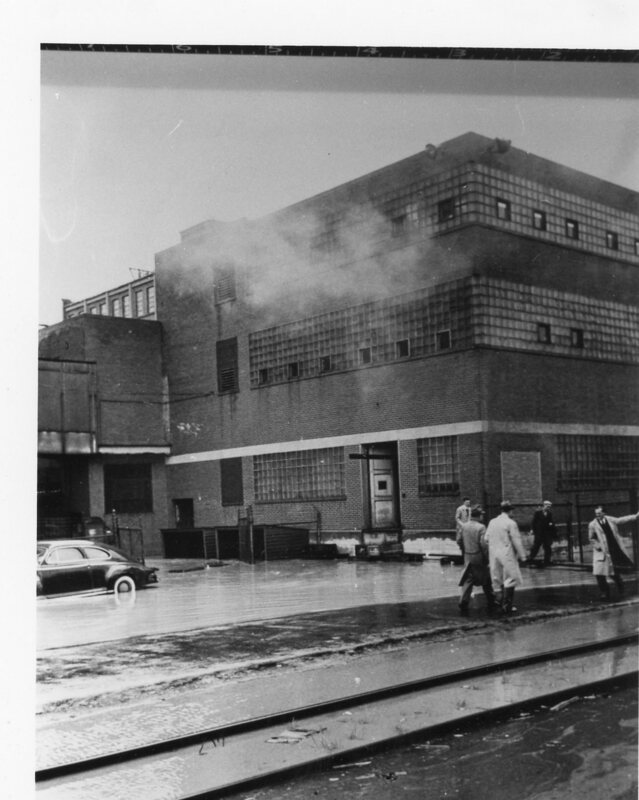 And the only bit of the building that remains today is part of the incinerator stack. Time flies! I have no idea why this photo was added to our collection. 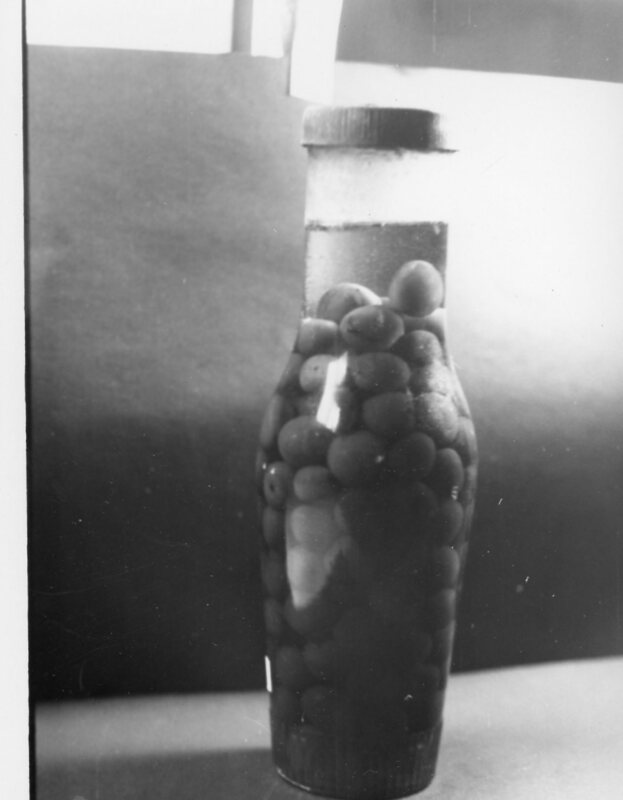 It appears to be a bottle of olives. Although, perhaps they might be grapes but unless the fruit/veggie won an award at a local fair — I haven’t a clue as to why this photo is important. If you know – let us know! 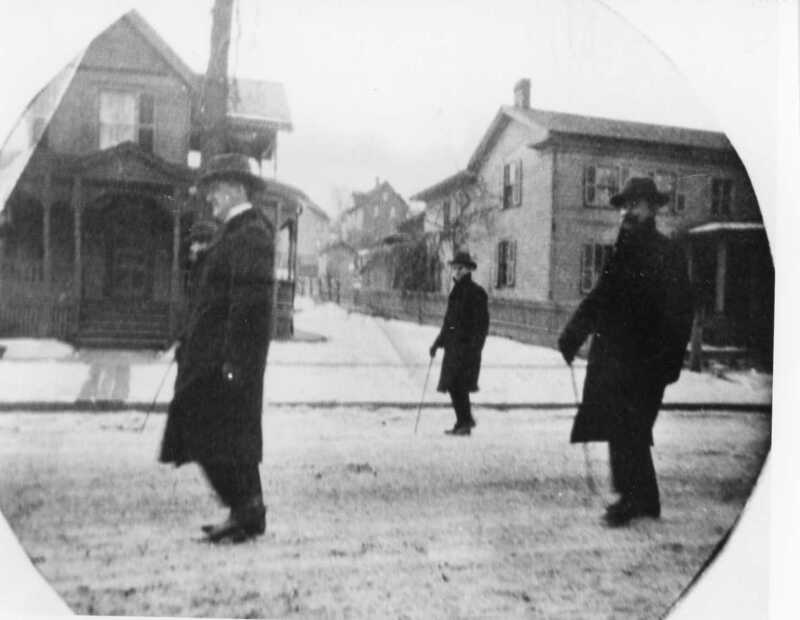 Our first photo features a trio of gentlemen walking down the street. The photo looks like it was taken when the weather was colder, so I wonder if perhaps the men in the photo were walking in a Armistice Day Parade? 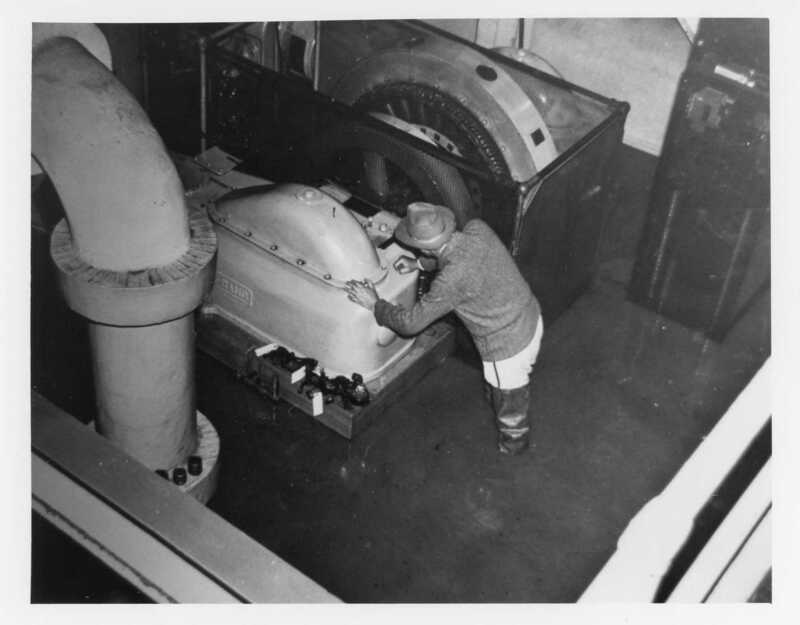 If you recognize any of the men in the photo or the location where the photo was taken let us know! Photo 2: Possible Market Street In Corning? 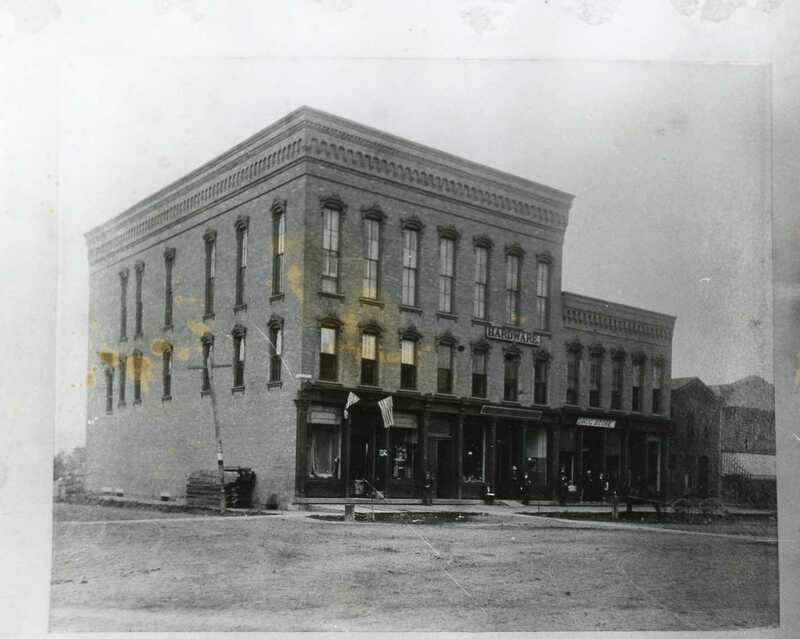 Our second photo of the week shows a building that might be on Market Street in Corning. The building on the corner looks to me, mind you without walking down Market Street to double check, like it might be the building on the corner of Walnut and Market Streets but perhaps someone with eagle eyes will take a look and know right off the top! 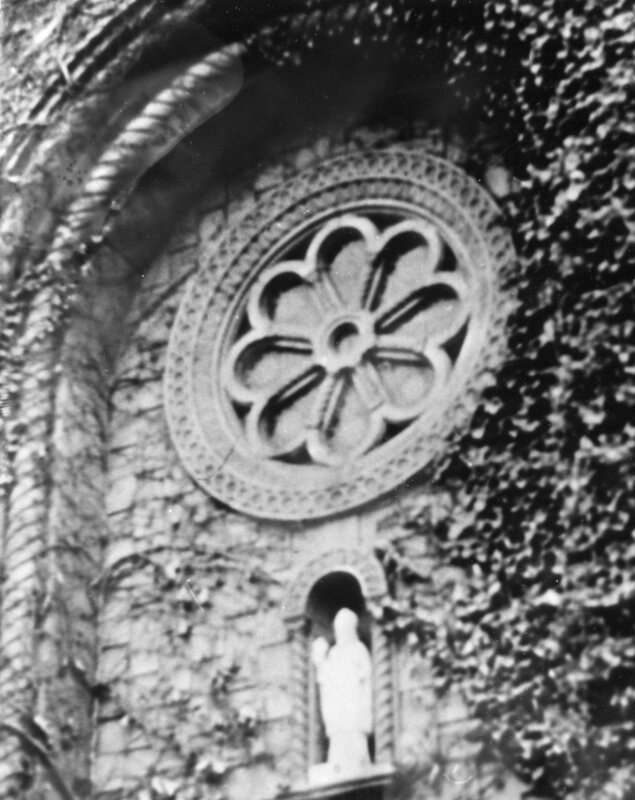 Our third photo for this week features part of the stone work on, I believe, a local church. I don’t recognize the church which tells my it isn’t the church I was raised in – Christ Episcopal Church in Corning. So if you recognize which church is seen in the photo let us know!